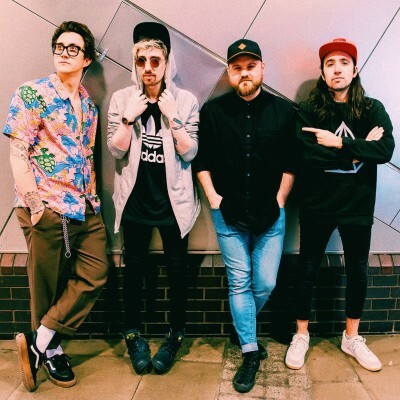 Infectious indie rock band Youth Club are back on the road. Having proved to be the hot new thing, their dates are highly anticipated. See the exciting new band for yourself when they play their upcoming headline dates at Sound Control in Manchester on Tuesday 6th and cool Nottingham club The Bodega Social on Saturday 10th of December. Youth Club tickets are on sale through Gigantic right now. Book them before they are gone. The Southend based band came to the fore in May of 2014 when they brought out their self released debut EP entitled Colours. It smashed into the independent charts hitting #25 of the Independent Singles and #7 on iTunes alternative chart. It was quickly followed by second smash EP Brothers. By the summer of 2015 they were already in demand by all the hottest festivals an appeared on stages at Radio 1’s Big Weekend, Y Not Festival, Standon Calling, Beat Herder, Shazam Summer Party and Kopparberg’s Urban Forest Festival. They continue to write and record, gathering every greater audiences drawn to their magnetic charm. Everyone is after Youth Club concert tickets so be sure to book yours before they are gone. And remember, Gigantic always has the very best gig tickets so stick with us!